Our academy aims to play a full and active role in the local community. We value our children and their families and are ready to listen and help where we can. We keep parents/carers well informed about their children and the academy's activities. We welcome and encourage parents/carers to be involved in the life of the academy. 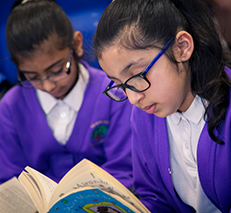 Our academy’s aspirations are reflected in the culture and ethos of the University of Wolverhampton Multi Academy Trust (UWMAT). As an Academy part of the University of Wolverhampton, we are committed to providing the best kind of learning experiences to each and every child whilst being truly entwined in our community. The children are the focus for all we do and we provide a safe and happy environment for them to work in. We deliver a rich and stimulating curriculum with a strong emphasis on challenge and progress. The academy curriculum is based on the National Curriculum with a particular emphasis on reading, writing and maths. The rest of the curriculum is taught through a variety of themes. This provides your child with a broad and balanced curriculum that gives children the opportunity to use and increase their skills and talents as they progress through the academy and in later life. 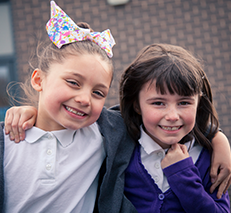 We treat all children as individuals and operate a structured and positive approach to behaviour management. The structured framework for behaviour keeps rules to a minimum and is developed in partnership with the children. This helps to create a calm and safe environment for both children and adults, where self discipline and concern for others are paramount. Through all our activities we aim to build pupils positive self-esteem and equip the children with the skills needed for lifelong learning. 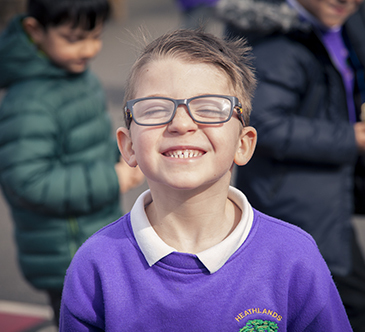 We believe in an inclusive environment where all children are welcome in our academy regardless of race, gender, ability, culture, religion or disability. Our Equal Opportunity Policy is designed to enable all children to have equal access to the curriculum and an equal chance to achieve their best. At Heathlands we operate an ‘open door policy’ and are very pleased to be partners with parents and children in their education. I am available every morning and afternoon on the school gate for any questions and queries. We're really pleased to launch our new website and hope you like it! 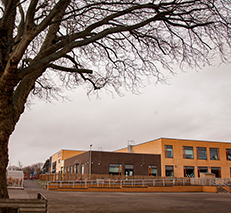 The school tree will be put up tomorrow! Thank you in advance to our lunchtime supervisors!